We put a digital rainforest inside a museum using mixed reality (AR and VR) to bring attention to the cause of saving the Sumatran rainforest in a uniquely emotive way. The Circular Oculus hallway of the Singapore ArtScienceMuseum was transformed into a living, life-sized digital environment that helped visitors interact with, and experience, the breathtaking beauty of the wildlife within. By using mixed reality to bring awareness to the plight of the forest, we were able to dig into a deeper level of empathy and emotional connection. Visitors were able to explore on their devices together with a feeling that they were part of a reality that may soon fade away. Seasonally, forest fires blanket Singapore in smog, but many people do not understand what causes them, and point fingers across the water towards Sumatra. The truth is, acres of ancient rainforest are illegally set on fire for clearing agricultural pastures. This leaves already endangered species, like the Sumatran Tiger (est pop. ~500), with no natural habitat. This inspired Google to use their Tango technology to bring this to Singapore's attention. They wanted to make sure the beauty of the rainforest, and the animals that call it home, is seen and appreciated in order to create urgency and an immediate call to action. Something had to be done about the loss of our forests and species. Nothing like this project had ever been done at this scale. ASM: Into the Wild is, by most accounts, the largest mixed-reality experience ever created. At the time no one had attempted to use Google Tango technology for such an endeavor. This meant the difficulty of this project was high, but the potential payoff made it worth it. Into the Wild was a chance for us to show all what the future of mixed reality could look like. Luckily we were able to get past these difficulties with innovative design and production techniques. We also worked closely with the Google Tango engineering team so we could nip technical issues in the bud as they arose. 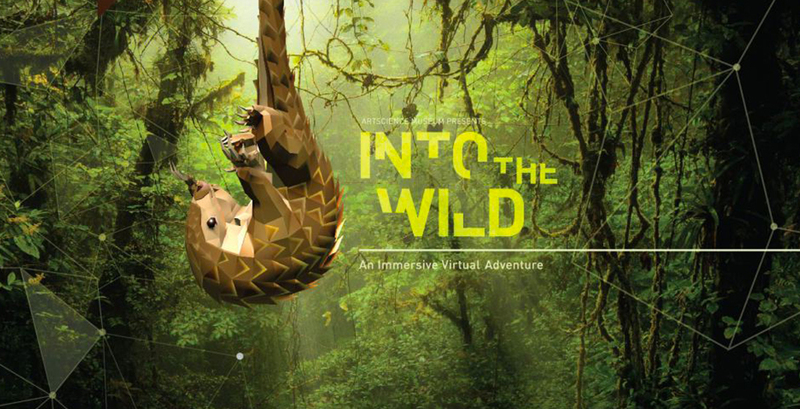 Where VR has been talked about as an empathy machine, we see AR as a method to create action and interaction, so the most rewarding aspect was seeing guests experience the rainforest's plight in real time. For the first time, they can actually feel how their actions relate to an environment they may have never felt part of. Many have never seen anything like this before, especially the children we saw take part in the experience, and it helps them think about what technology holds for the future. But most importantly, this experience embeds visions of what humanity holds for the future of the rainforests in the minds of visitors. That’s not only a reward for us, but for all. By using mixed reality, we aimed to add a much deeper level of impact in the story we wanted to tell. The visitors needed to be able to go at their own pace and make their own decisions throughout the experience. At the end, the impact of forest fires and deforestation would always leave a mark on the visitor by losing the lush world they just explored. But to add a positive ending, users were able to plant a "seed of hope" which brought back all of the animals, trees, and beauty they just explored. The real-world impact was tangible, as WWF planted a real tree on Sumatra for every virtual tree that was planted. We augmented reality by improving it, which is a really cool takeaway. The production of this project posed a huge problem that was unique to this mixed-reality experience. Into the Wild was designed to work in only one place on the planet: The ArtScienceMuseum Singapore. So how do you go about designing something like that when you’re working across two continents? The a-ha moment came to us when we realized we could use VR to solve it. By using a blueprint of the museum and custom VR tools, we were able to successfully design an experience unique to the museum’s architecture—all without actually being there. It was a powerful example of how we can use VR to not only provide experiences, but as a tool to solve problems like this. Highlighting mixed reality as an educational tool was extremely important to our project. The ability to transform one’s surroundings into anything we desire makes it possible to educate and inspire members of the public about crucial ecological issues like these. By inserting museum guests into a virtual forest environment, we can make this issue much more palpable than a poster—or video—ever could. We can create more empathy in our visitors by drawing on more of their immersive senses. Not only this, but because this project was experienced on a device, people could create an impactful moment together. That’s something we believe no other medium can match. Having everything come together two weeks before the deadline—across three key elements. Would the virtual world we created be aligned with the real-world museum using the area learning data? Could our visitors complete their journey without bumping into real objects? We were lucky to have so many amazing people that worked on this that every element meshed together seamlessly, and our first on-site test group had a perfect experience. Everything worked so well that even after 14 months post-launch date, visitors can still step Into the Wild and save the rainforest from disappearing. We think mixed-reality experiences like these have a huge place in educational and socially progressive projects. Just like VR acts as an empathy machine, AR compounds this by letting it seamlessly mesh with the real world. There are so many causes to explore through this medium and we can’t wait to see the kinds of research and projects that the future holds.